Bounty Fresh celebrated the World Chicken and Egg Day at the Trinoma Activity Center and it was EGG-stravagant! Mallgoers were treated with fun-filled activities and in-store promos for the entire family! Kids definitely had so much fun participating in exciting games and bouncing around the different play areas within the activity center. Of course, Bounty Fresh is all about producing and serving only the freshest farm-to-market poultry products and all the moms who joined the event sure had a great time with the cooking demos and challenges prepared for them. 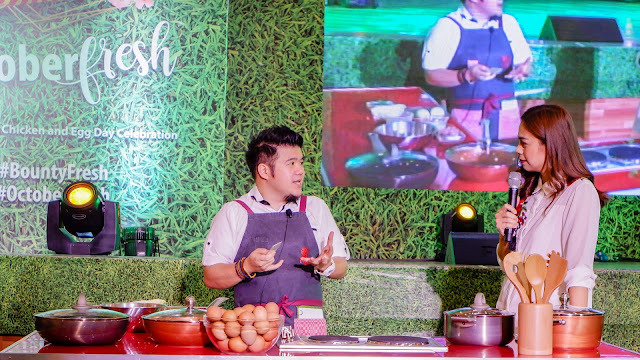 Chef Sharwin doing a cooking demo with Bettina Carlos where he shared his recipe using Bounty Fresh's chicken and egg cooked using Masflex, the event's cookware brand partner. Bounty Fresh also put up some cool displays where families can take their lovely photos for souvenirs. Aside from these activities, Bounty Fresh also treated their loyal customers with a huge sale of their products exclusively available during the event. Every hour during the event, participants had the chance to buy a whole chicken, fresh eggs, or Bounty Fresh products for ONLY Php20!!! I do my own grocery and I know there's nowhere I can buy any of these items at that price so this is probably my biggest takeaway from taking part of this event. And lastly, one of the main highlights of the event is the search for Chicky's missing egg. 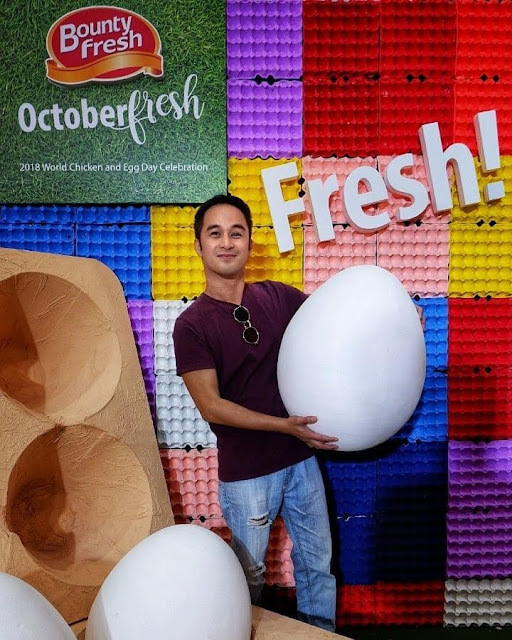 If you happened to pass by GMA EDSA weeks ago, you may have noticed this huge Bounty Fresh display of Chicky and her egg. Days after it has been installed, Chicky's egg suddenly went missing. Apparently, this is part of the brand's Egg and Chickenovela (witty, eh?) and the quest for finding Chicky's missing baby finally has come to an end as the event revealed its whereabouts, plus an exciting surprise for everyone - a cash prize of Php 100,000 to one lucky winner! 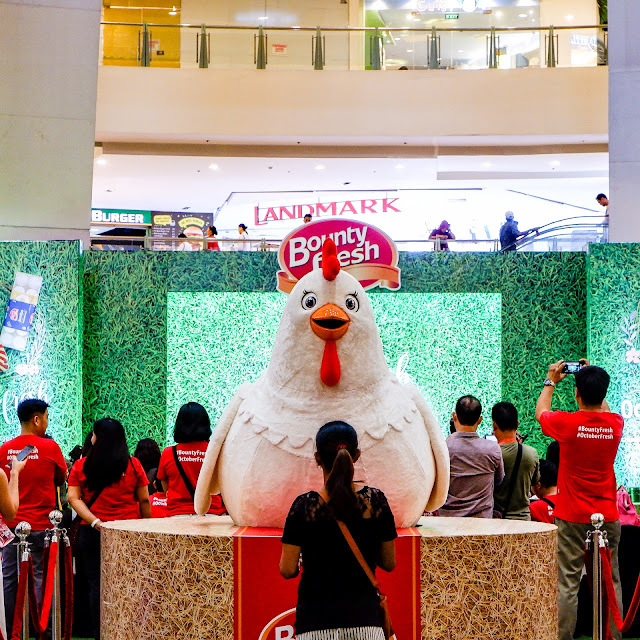 All of these activities and giveaways are the least Bounty Fresh can do to make its customers enjoy this year's World Chicken and Egg Day. Bounty Fresh promises to continuously provide Filipino families with succulent meat of high quality, steroid-free chickens, and the most nutritious and fresh white and brown eggs, all at the most affordable price. 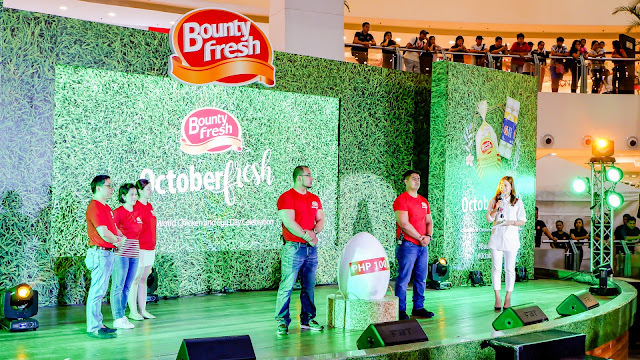 Thank you so much Bounty Fresh and I am definitely looking forward to next year's World Chicken and Egg Day celebration!